This is the April practice page for my series! 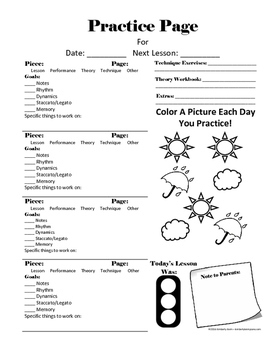 This page features places to write assignments and goals in a speedy manner, theory and listening assignment spots, pictures to track practice, and a wide open door for parents and teachers to communicate. As always, there's an extra blank page at the end.